There’s a popular homeowner myth that winter isn’t a good time for home improvement, but in reality the coldest season might actually be a great time to take on a task such as window replacement. Today, the professionals from Murphy Home Improvement in Cincinnati, OH, will explain why. With a busy schedule, it can be challenging to pencil in a window replacement appointment. In the summer when many window companies are booked weeks in advance, scheduling becomes even more difficult. Fortunately, during winter months, you’ll enjoy much more appointment flexibility than during any other time of year. Feeling a little chilly? 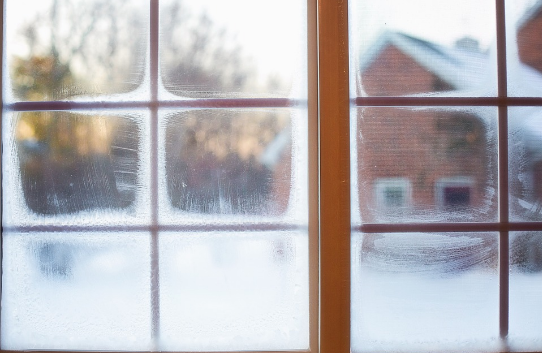 Strong, properly sealed windows will keep you warm and curb heating costs all winter long. If you wait until spring to replace your windows, you won’t enjoy the same immediate return investment that a quality installation brings. Not only will installing energy efficient windows save you up to 15% on your annual energy bills, you’ll also earn a sizable tax credit. If your windows have condensation inside the panes, leak cool air or water into your home, or are very difficult to open and close, it’s time to replace your windows. By tackling this task before the coldest temperatures of the season strike, you can save money and enjoy a more comfortable, energy efficient home all year long. For high-quality window replacements in Cincinnati, look to the expert technicians at Murphy Home Improvement. When you visit the company showroom with your window or door measurements in tow, you’ll receive a 10% discount on your purchase. To learn more, call a friendly professional today at (513) 922-8989 or visit the company’s website. You can also stay up to date with the team on Facebook and Twitter.